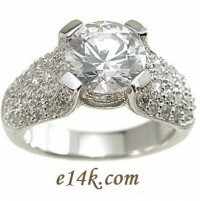 3.50 ct center stone with many Pave' set side stones for a total of 4.00ct. All of our sterling silver is .925. The best quality silver avilable.